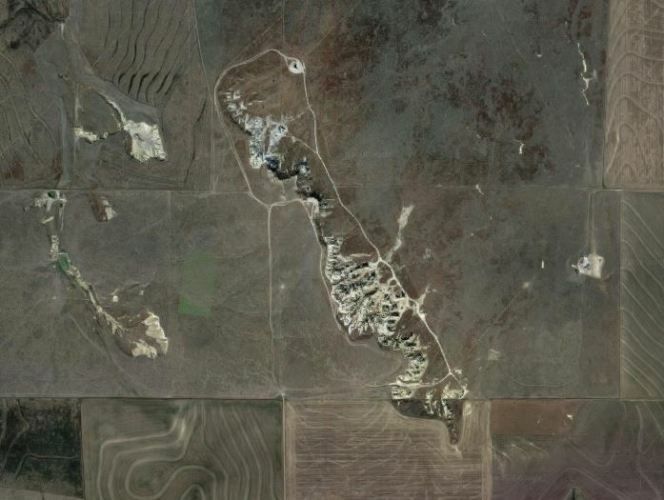 The latest destination on my Virtual Hike was Castle Rock, Kansas. Since it is well off the beaten path it is not visited much so I am sure that not many of my readers have been there. 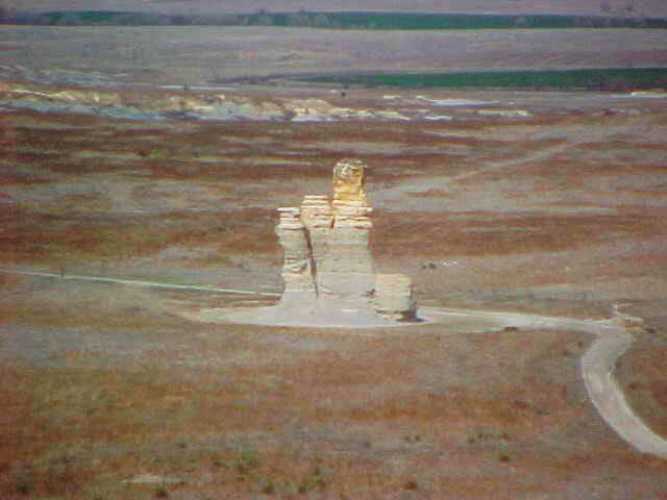 Castle Rock is not a town or city, but rather a limestone formation. I did not visit Castle Rock when I lived in Kansas, but was very near it once when we went to Quinter for a regional track meet. 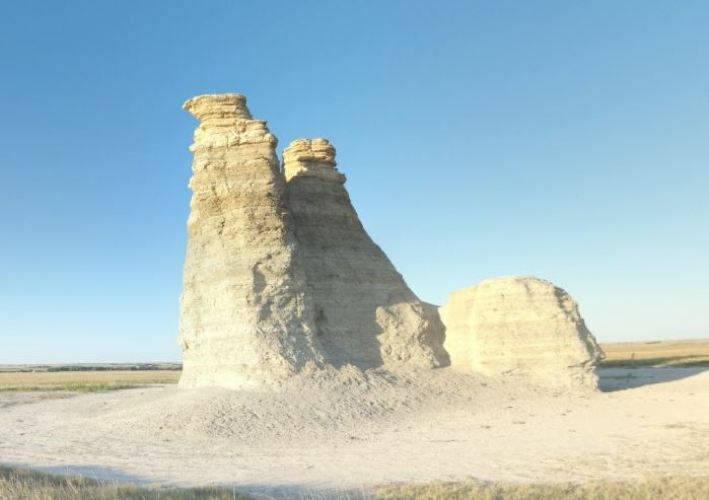 Castle Rock is in an area called the Castle Rock Badlands. There are many chalk and limestone formations in the area. It is very beautiful. 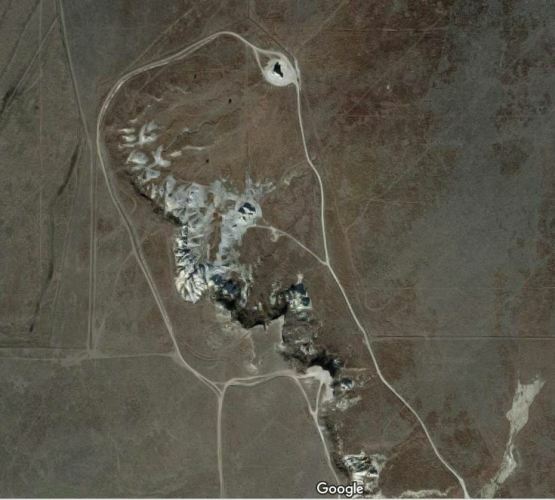 As I zoom in on Google Maps you can see more detail. You can also see the shadow being thrown by Castle Rock at the top of the picture. 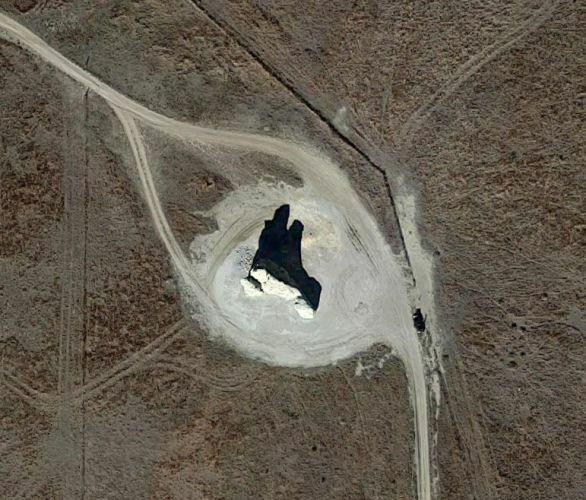 Here is the satellite view in the closest view. You can see the shape of the formation by looking at the shadow. 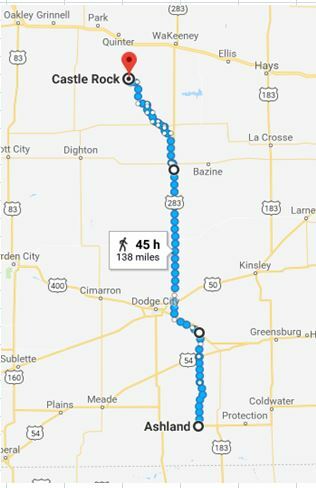 I decided to see what pictures were available in Google Maps Street View as the pictures I took were from 17 years ago and it has had a major change. This picture was taken back in 2013. You can see here that Castle Rock looked very different back in March of 2000. In 2001 the tallest spire lost the top part just after a summer thunderstorm. Castle Rock is usually listed as having a height of 70 feet today. However, while looking for the historic height of Castle Rock the tallest figure I could find was 75 feet, so it may not be that high. The next stop on the Virtual Hike is not too far away from Castle Rock and is a stop that has family significance. Have any of you been to Castle Rock? 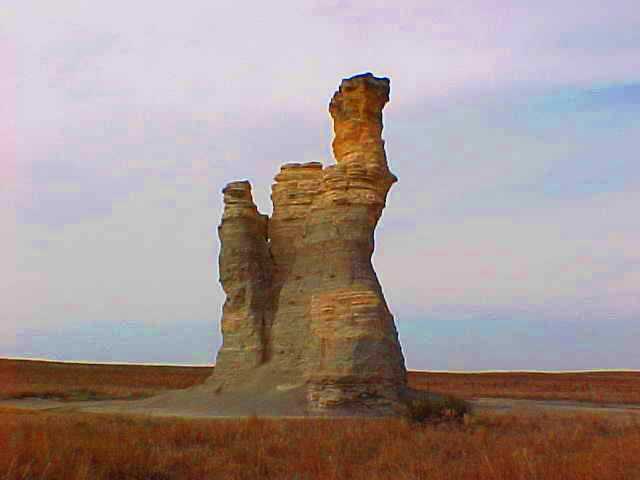 This entry was posted in Memories, Nature, Travel and tagged Badlands, Castle Rock, Kansas, Limestone Formations, Quinter, Virtual Hike. Bookmark the permalink.